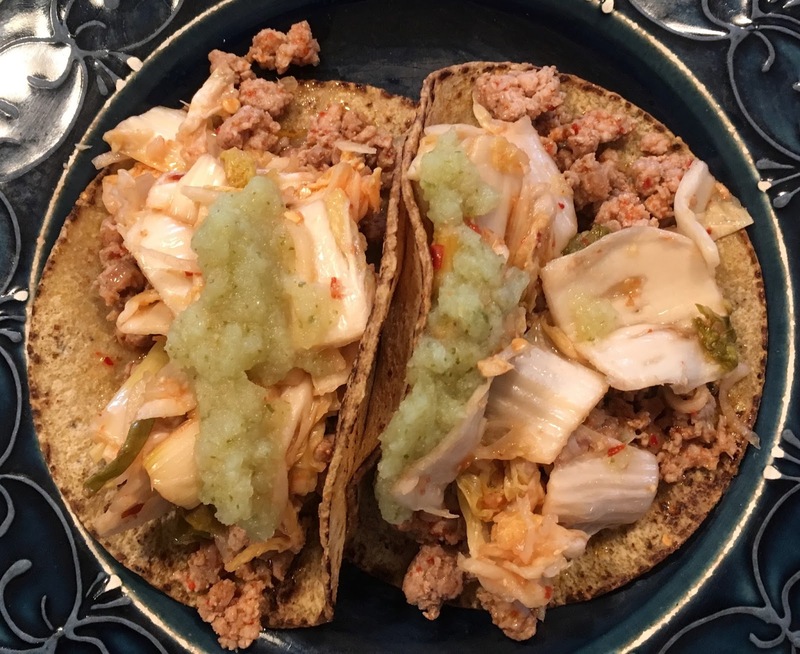 These tasty tacos are all local thanks to our valley farmers, All Souls Tortilleria, Vermont Probiotica, and Gracie’s Kitchen. Hopefully you live in a place with lots of local food producers, if not you'll just have to come visit us in the Mad River Valley. Sauté half of a finely chopped onion until translucent then add a couple of minced garlic cloves followed by a half pound of ground pork. Once the pork is cooked through salt and pepper to taste and turn the heat to low. Soften a couple of tortillas in the toaster oven on low heat then spoon in some of the pork mixture and top with a bit of kimchi and green salsa. To make them even better, serve with A Sip of Sunshine...our award winning local Warren brew.